Have you noticed the trend depicted in your own experience – that is, as you have gotten older, your memory is not quite what it used to be? The chart is just meant to be conceptual, not scientific; that is why there are no actual numbers on it. However, science amply supports this concept – that long-term memory remains better intact and short-term memory takes a hit with aging. Everyone is different, and I hope the implied slopes of decline in long- and short-term memory with aging are greatly overstated in your case. 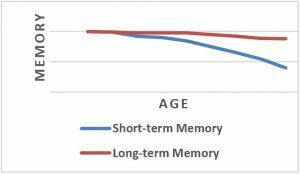 Some people do not experience much memory decline with age; others experience profound memory decline. We all know people in their nineties who are sharp as tacks and people in their fifties who cannot find their keys to win a bet. I want to share five recommendations that various authorities have made. These recommendations overlap 100% with the tips we have been communicating in this column since its inception in 2012. Here are five practices you can implement that might improve or at least protect your memory. Don’t overwork. Studies have shown an inverse relationship between memory and overwork. Overwork can often lead to burnout, stress, and ruptured relationships. Here is one of our articles on burnout and stress: Effective_Leaders_Avoid_Burnout. Those outcomes have been shown to diminish cognitive function including memory. Practice mindfulness. Mindfulness has been shown to strengthen short-term memory, complex thinking, and problem-solving. Exercise! One of my coachees claims that the reason she works out in the morning is to get oxygen feeding her brain before she reaches her desk. She is actually right. Nurture your relationships. Isolated people experience mental and physical decline at a more rapid rate than people who are connected socially to others. Isolated people also tend to be more depressed than others. And isolation is a cause of depression, particularly among older adults … and depression decreases memory. Get enough sleep. People I work with report that they can hardly remember their kids’ names when they are sleep deprived. Research bears out the negative impact sleep deprivation has on memory. This is a start. Of course, other steps you can take are all the fundamentals of vitality that we have talked about for the last six years: eat well, drink a lot of water, don’t drink too much alcohol, and so on. Pick one thing off the list and begin to practice it. Then start with the next one. 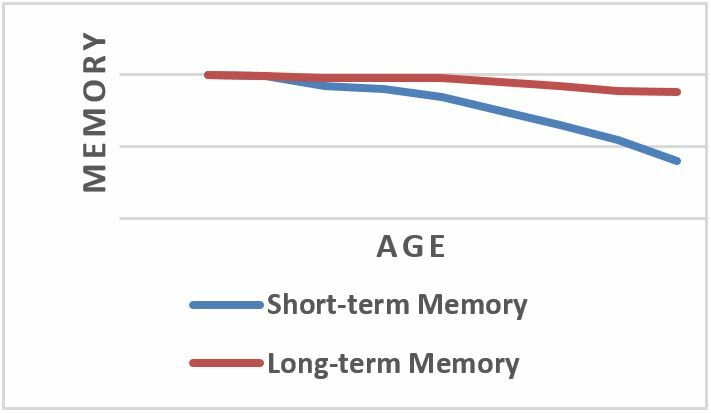 Do you think your memory has declined with age? Have you seen the impact of any of these items listed above on your own memory?